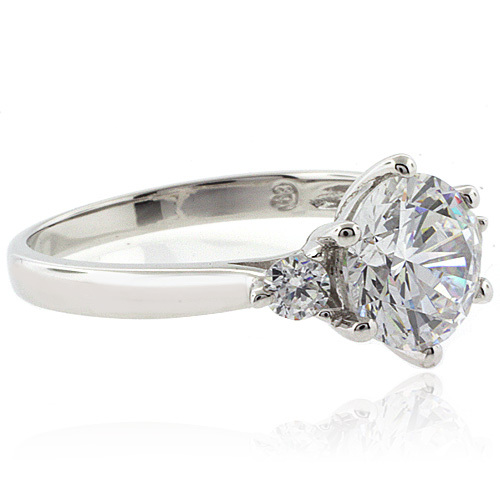 Show her your infinite love with this ravishing 3 simulated diamonds ring. All 3 stones carefully mounted on a .925 silver band. 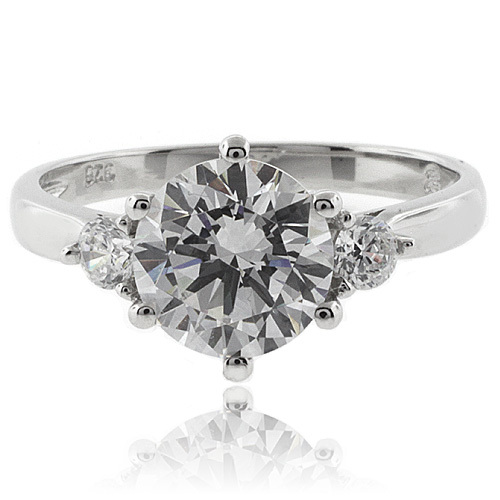 This ring looks boths delicate and stunning but also powerful like the love you share. Simulated Diamonds 8 mm center stone.